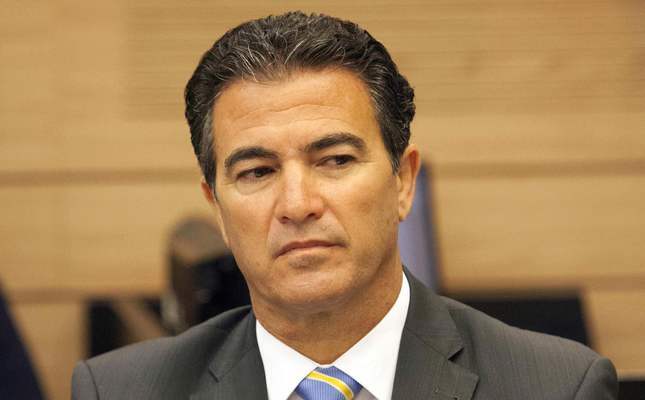 Israeli Prime Minister Benjamin Netanyahu appointed National Security Adviser Yossi Cohen to head Mossad intelligence service on Monday night. Cohen, a former Mossad operative, has been heading the National Security Council since 2013 and has been an important figure in energy issues. Cohen is expected to take over the post in January when current Mossad chief Tamir Pardo's term ends. The ongoing crisis between Turkey and Russia, Israel's displeasure with Russia's support for Shiite militant group Hezbollah, Netanyahu's statements saying that high-level talks are held on the energy issue with Ankara, the worsened relations between Israel and Egypt over the inactive gas pipeline and the fact that one of Cohen's tasks will be to establish diplomatic links with Arab and Muslim countries, has signaled the intention on the part of Israel to amend ties with Turkey in light of energy needs and regional developments. Netanyahu said Mossad needs to focus on three fields: Operations, intelligence and diplomacy. Touching on the diplomatic side he said that "Whether on the operational or intelligence side, Mossad will continue to assist me, as prime minister, to develop diplomatic links around the world, including with Arab and Muslim states." Complaining about the difficulty of making a choice for the top position in Mossad he said, "The choice among the candidates to head Mossad was difficult. On this score we are blessed with the problems of the wealthy. The three people whose candidacies I considered were excellent, talented, experienced and capable. I considered things with responsibility and due seriousness and in the end I decided that the next head of Mossad will be Yossi Cohen." "Cohen was born to an observant family in Jerusalem in 1961. He studied at the Ohr Etzion Yeshiva seminary under Rabbi Haim Drukman and, after serving in the Israeli army, was accepted into Mossad's prestigious intelligence officers' course. During his service, Cohen specialized in enlisting and handling agents for Mossad, and headed Mossad's Tzomet collectives division. He also headed a technological intelligence collection division within Mossad before being named deputy head," Haaretz reported. A source with knowledge of Mossad's inner workings was quoted by Haaretz as saying that "Cohen had a clean reputation and had a close relationship with Netanyahu, which is very important for the type of work characteristic of Mossad." I24news also reported that "The choice of Cohen reflects the prioritization of the clandestine foreign ties. First of all, it is necessary to consolidate international cooperation in combating terrorism and for Israel to take part in and influence international operations focused on thwarting terror." The analysis continued by saying that Israel has to gain international support to combat the threats posed by both DAESH and Iranian-backed militant groups. One day before his appointment, Cohen signaled that the stranded relations will be amended with Turkey as he said, "Israel's place in the Middle East is increasingly challenged, and it will be reinforced by cooperation with our neighbors, particularly Egypt, Jordan, Cyprus, Greece and Turkey. It is in our interest to forge strategic economic relationships with these states." In response to a question he said that "For me, it is important to extract the gas as soon as possible and to take care of our relations with the other states." Similar to Cohen, Netanyahu said, "We need to ensure our energy security," adding that Israel should be an export country rather than import country. "All the interest in Israel dissipates if we don't" develop the rigs, he said. "The security considerations force us to develop more fields and more rigs. It strengthens the ties between the moderates in the region, and therefore this deal is essential for the future of Israel." He added that the deal was "essential" for Israel's foreign standing, and would help the stabilization of the region, and said high level talks have been held between Turkish and Israeli governments over the issue. A Turkish official, speaking to Daily Sabah on the condition of anonymity, also said that the relations with Israel are expected to be amended quickly and confirmed that talks are being held over energy routes to deposit Israeli gas in Turkey before being sold on to Europe. Stating that the efforts to amend the relations continue, the official did not give any further detail. Several Turkish media outlets previously claimed that talks were held between the two countries, however, Netanyahu's insistence on not abolishing the blockade on the Gaza Strip has appeared as an obstacle. The energy issue seems to have become a turning point in relations amid the escalated tensions in the region. A gas field, Leviathan located in the eastern Mediterranean off the coast of Israel, was discovered in December 2010. In November 2014 Israel proposed that EU countries invest in the under-sea pipeline from Israel to Cyprus then to Crete and mainland Greece where the gas would then be shipped overland to other European countries. It is estimated that the project will cost more than $10 billion. Furthermore, unlike the undersea pipelines that run from Russia to Germany under the shallow waters of the Baltic Sea, this project has to cross the deep Mediterranean, which can sometimes reach 2,000 meters. Therefore, commercial and technical realities have raised doubts over the project. However, a pipeline that would be built between Turkey and Israel seems to be a cheaper and more feasible option as the distance of the project is about 500 kilometers, which is less than half the distance of the other option, and it is estimated that this project may cost only $2 billion. After reaching Turkey, Israeli gas could connect the Trans-Anatolian Natural Gas Pipeline (TANAP), which is still under construction, and by this means, up to 10 billion cubic meters of Israeli gas could be sold to Europe annually. Egypt has been a major gas exporter to Israel but suffers from insecurity and instability since Abdel-Fattah el-Sissi took over power after overthrowing Egypt's first democratically elected president, Mohammed Morsi. The pipeline between Israel and Egypt has been attacked dozens of times by the DAESH-linked extremists in Sinai and has been put out of action. The crisis between the countries deteriorated as Haaretz reported on Sunday "Cairo ordered two state-owned companies to freeze talks on importing Israeli gas and would issue no import permits after international arbitrators ordered the companies to pay $1.76 billion compensation to the Israel Electric Corporation for halting gas supplies three years ago." The Israel Electric Corporation sued Egyptian General Petroleum Corporation (EGPC) and Egyptian Natural Gas Holding Company (EGAS) for as many as $4 billion in damages and claimed that the company had been obliged to buy more expensive fuel to produce electricity. Israeli media claimed that the country lost 18 percent of its electricity generated from gas although Egypt rejected the claims. The worsening relations between Egypt and Israel may pave the way for accelerating TANAP. The energy issue seemed to be the only common ground for Israeli and Turkish interests but the war in Syria may also help the two countries open a new era. Turkish-Russian relations entered a new phase after Turkey shot down a Russian jet that violated Turkish airspace two weeks ago. Turkey and Russia have been in a rift over the Syrian war as Russia, along with Iran, staunchly supports Bashar Assad and Lebanon-based Shiite militant group Hezbollah, which is considered a terrorist organization by Israel. Opposing the existence of Hezbollah in Syria seems to be another mutual interest for Turkey and Israel. Moreover, Iran's support for the militant group, the fact that Tehran sends troops to Syria to fight against Turkish-backed moderate rebels and Israel's displeasure with the so-called nuclear deal with Iran that aims to lift sanctions and curb Iran's nuclear activities might be another point that may put Turkey and Israel in the same pocket in terms of regional politics. A unique Muslim democracy in the region, Turkey, which suffers from national security problems due to the war in Syria, and, Israel, which has been prioritizing national security and the stabilization of the region, may act together. The threats posed by Iran and Hezbollah to Turkey's and Israel's national security are not independent from the energy issue. Cohen, last week, said that "When the nuclear agreement with Iran is signed, it will become a very significant gas player. Countries that have avoided contact with Iran will fall over themselves now to get there. Hezbollah has the weapons to hit Israel's gas rigs. Our enemies' weapons in this theater are good enough to hit any given platform. Our enemies in the region are multiplying, having been spurred on by Iran and Syria." The common threats and mutual economic interests may change the fate of Turkish-Israeli relations and Cohen might play a significant role during the amendment process. The relations that broke down after Israel raided a Turkish aid flotilla in international waters and killed 10 Turkish nationals one of whom was holding also an American passport, in 2010, may enter into a new phase after a stagnant period.